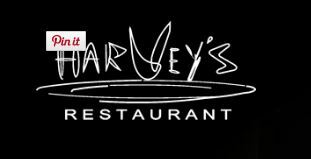 For over twenty years, Harvey’s Restaurant has earned itself a reputation for serving superb cuisine characterised by their food combinations, which is a mix of classical food elements. The menu is always changing and our inventive specials keep our customer’s taste buds intrigued and wanting more with every mouthful. Each dish is a delicacy, an adventure of flavour and keeps patrons coming back to our restaurant time and time again. Our elegant restaurant is situated in Umhlanga and boast elaborate chandeliers, gold columns and leather padded walls. The chef responsible for preparing our delicious masterpieces, is Andrew Draper. He prides himself on creating inspiring dishes that have patrons flocking to Harvey’s Restaurant. Dishes here are anything but monotonous and you will be tempted to eat more adventurously when you frequent our establishment. For a taste of award-winning cocktails, visit Harry’s Bar which exudes elegance and sophistication. Relax on comfortable couches while sipping on your favourite drink. Our barmen know how to mix top quality drinks. Harry’s Bar promises the ultimate bar experience. Chilled vibes is what it’s all about. Need catering for an event? Your guests will be blown away by the food set before them. Whether it’s a satellite kitchen, personalised menu or interactive chef station, our team will ensure an event that’s a raving success. Everything from sound, lighting to décor and hiring, our dedicated, experienced staff will assist you. Talented chefs with a variety of culinary experience are on hand and will have your guests ‘eating out of your hand’ so to speak. Ever wanted a sushi bar at your event? We can do that quicker than you can say wasabi. We do catering for fashion shows, music concerts and other events. Come along to Harvey’s Restaurant for ethnical food with efficient and chic service. This is dining at its best.